We are a leading Manufacturer of m b housing, etios front brake disc, leaf spring pad, axle nut and automotive steering components from Rajkot, India. We are one of the renowned manufacturers, traders and suppliers of highly durable M B Housing. These spare parts are precisely manufactured according to the set of industry norms and standards, under the team of qualified professionals. Offered products are highly demanded by our clients for their optimum performance, fine finishing, easy installation and cost effectiveness. 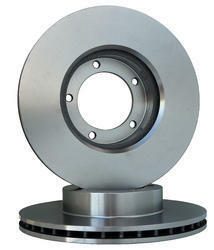 We are one of the leading manufacturer and supplier of Etios Front Brake Disc.We obligated to meet the quality standards as per the Customer demand. 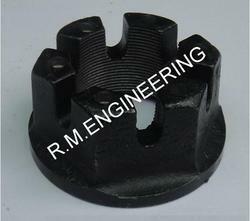 We hold specialization in manufacturing and supplying highly durable Leaf Spring Pad. Our products are precisely manufactured from good quality raw materials that have been procured from reliable vendors, who hold immense experience in this domain. Offered products undergo various stages of quality checks, before their final dispatch. These products are provided at most competitive prices and are delivered at the customers’ defined destination within specified time duration. With the help of our professionals, we have been able to offer high quality Axle Nut at industry leading price. Our products are manufactured according to industry laid norms and guidelines. Before the final dispatch, our professionals assure the quality of each and every product to ensure their flawlessness. Offered nuts are easy to install and are known for their dimensional accuracy, compact construction and corrosion resistance. 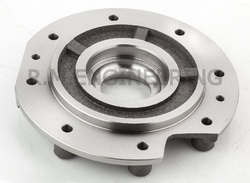 Our organization is regarded among the leading suppliers of high quality Automotive Steering Components. Our manufacturing professionals precisely manufacture these products, under strict supervision in accordance with industry set quality norms. These are highly durable products and known for their easy installation, fine finish, corrosion resistance and cost effectiveness.